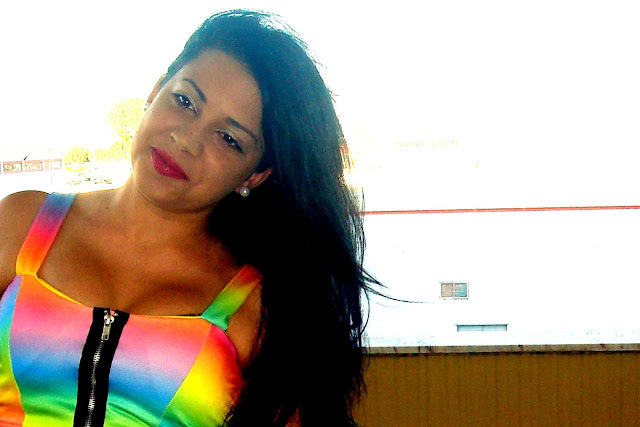 A mulher e a moda: OUTFIT #6 | The rainbow..
OUTFIT #6 | The rainbow..
e pronto aqui está o meu outfit com o meu crop top. Os calções(que eram calças) são da levis. Fiz um DIY com eles :)As sandálias são da seaside. Assim que puder mostro-vos um outfit diferente com o mesmo crop top..Porque ainda não sei bem se é com estes calções que gosto mais de ver o top. Vocês gostam? here is my outfit with my new crop top. The shorts (was jeans before) are from levis. I did a DIY with them :) The heels i shop them in seaside.When possible,i show you a different outfit with the same crop top...Cause i don´t have sure if i like it with that shorts.Like it? Your rainbow top is absolutely gorgeous! Love this outfit! Loved the top. the color are so pretty.